Kahotan's Blog | GOOD SMILE COMPANY Figure Reviews | Nendoroid Rin & Len Kagamine: Cheerful Ver. Nendoroid Rin & Len Kagamine: Cheerful Ver. Apologies for the long wait!! Nendoroid Rin & Len Kagamine: Cheerful Ver.! They were originally scheduled to be shipped out in December, but were unfortunately delayed until January due to various circumstances. But they were sent out from GSC yesterday, so those in Japan should have them in the next few days – and those overseas a little while later! I’ll be doing a quick review of them today in the meantime! 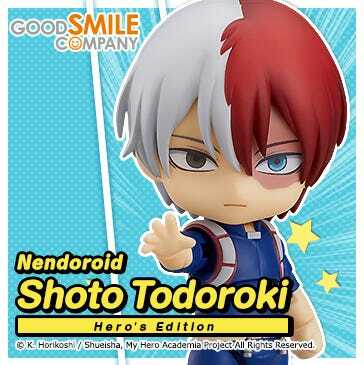 Of course all the parts of the original Nendoroids are included, along with a collection of ‘Cheerful!’ parts! 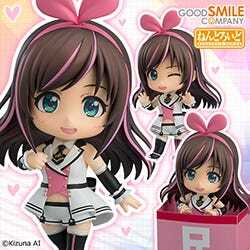 They each cost 3000JPY and for each sale made Good Smile Company donated 1000JPY to aid relief efforts! The well-known ponpoms are included! A lovely yellow very suited for Rin & Len! The ponpoms are connected as a single arm part, so you’ll be able to use them on other Vocaloid characters with the arm covers. They make use of the arm-type Nendoroid stands! The original Rin & Len Nendoroids used to make use of the stands that balanced them up by their hips, but didn’t allow for many poses. The arm-stand is of course made from clear plastic so it is doesn’t get in the way at all, but still holds the figures nice and firm! Singing Faces and a Cheerful Flag! One flag is included with each of them, and you can put them together like this for a joint pose! The reverse side of the flag doesn’t have anything printed on it, so you can place your own stickers or write your own message on that side! Deformed expressions and other extras! Rin comes with a microphone and Len comes with his keyboard! They also have hand parts to make sure of these extras, of course! Rin has a lovely innocent looking smiling face, while Len has an embarrassed face which is just as cute! Stickers for the blank expression! Rin & Len each have 4 expression parts, but one of them is left completely blank! The blank one is for you to make use of these stickers or others and make up your very own expression! The hearts and musical notes at the bottom are for you to stick on the reverse side of the support flag if you want! 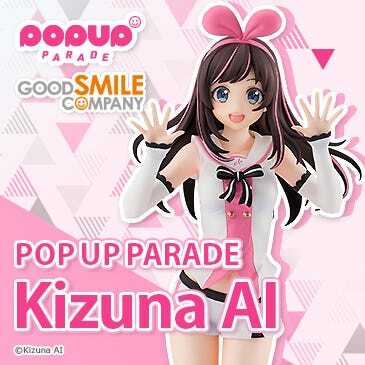 There are also a few extra stickers like the Good Smile logo or the Good Smile Seijin for you to use however you want! There are two sheets of stickers included. One is at the top as you open the box, the other is on the reverse of the inside mat of the package. The reason for the two sheets is that the original sheet (the one inside the package) ended up getting bent out of shape in some packages. So, we decided to include an extra sheet of stickers in case there were problems with the original sheet. This was what caused the delay in shipping, and we apologize to everyone who ordered and had to wait longer than they expected! We’ll do our very best to make sure something like this never happens again. Len comes with a megaphone and word plate! You can either just pose him holding the megaphone, or attach the word plate as well, which reads ‘Let’s get through this together!’. Rin also comes with another blank plate for you to write something of your own, if you want to! They can also use other expressions now! The previous Rin & Len Nendoroids had differently shaped head parts, which meant that expressions from other Nendoroids could not be attached to them, but the new design allowed for a few changes which means you can use any other expressions on them now! The expressions in the photo above come with other Nendoroids and are not included with Rin & Len – it’s just to show how much fun you can have by using some expressions from other Nendoroids in your collection! The megaphone and whistle they have can either be held, or attached around their necks like the megaphone is here! 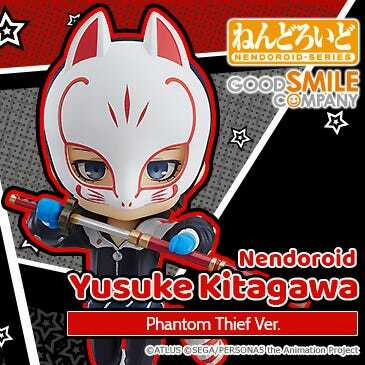 They were shipped out from Good Smile Company yesterday! 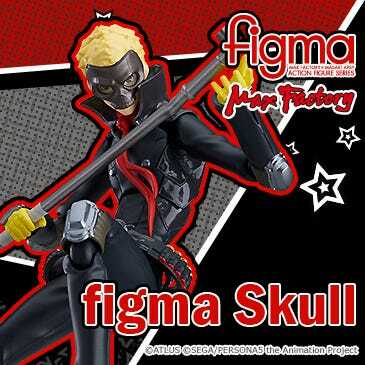 Everyone who ordered should receive their figures shortly! 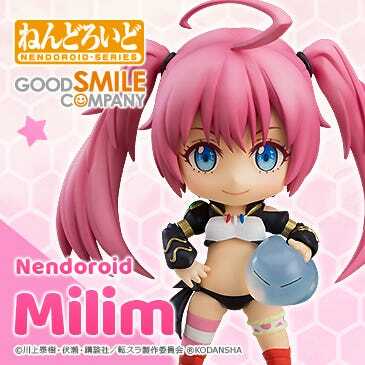 Nendoroid Luka Megurine: Cheerful Ver.! 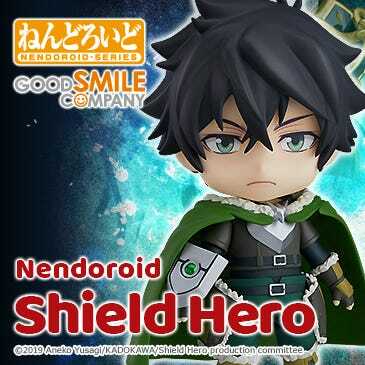 This Nendoroid is currently up for orders on the GSC Online Shop, until the 30th January at 20:00. Don’t forget to place your order before then if you want to grab her! noitaminA’s Black Rock Shooter Special Preview Events! The Black Rock Shooter anime series is scheduled to start airing from the 2nd February on Fuji TV’s ‘noitaminA’ block, but there will also be a special preview event on the 28th and 29th of January for some lucky fans! If you are interested in attending the preview event, you can apply for one of the time slots below. Winners will be selected at random, so good luck! ■ 28th January 2012: Doors open at 18:30, show starts at 19:00 and will end at about 20:00. ■ 29th January 2012: Door open at 13:30, show starts at 14:00 and will end at about 15:00. ■ 29th January 2012: Door open at 15:30, show starts at 16:00. Be sure to apply if you want a chance to see Black Rock Shooter before it officially airs! Please see the Official noitaminA Black Rock Shooter page for more information. The cutoff dates are tomorrow and the day after!